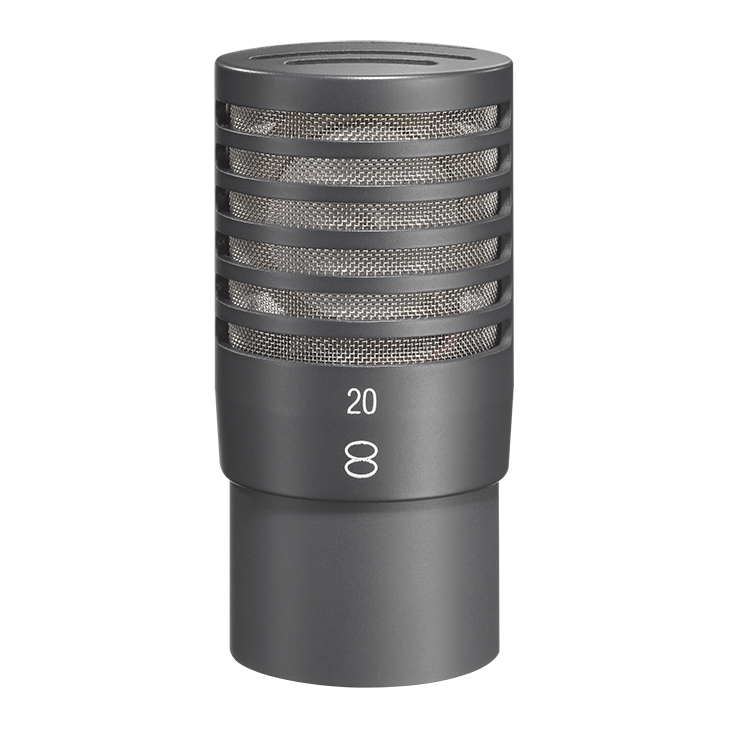 AK 20 is a pressure gradient transducer with the figure-8 characteristic, realized with a single diaphragm. The diaphragm diameter is just 16 mm. All sound field components reach the diaphragm directly. This results in identical frequency response curves and output levels at 0° and 180° sound incidence. Corresponding accessories allow combining the AK 20 with other active capsules or microphones to obtain an MS-Stereo setup.